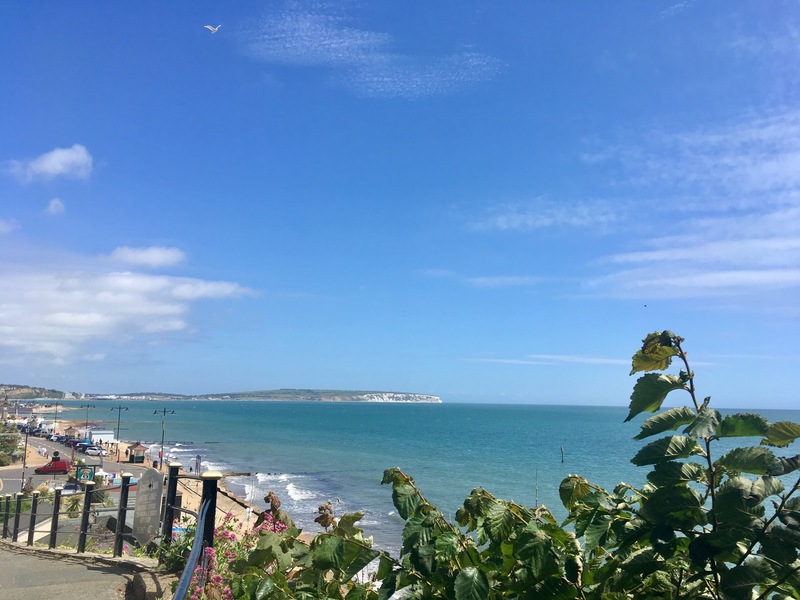 With slightly warmer temperatures than the mainland and some of the best beaches in England, the Isle of Wight is the perfect UK weekend break destination. A quick ferry ride will take you from Portsmouth (easily reachable from London) across the Solent and into Ryde. 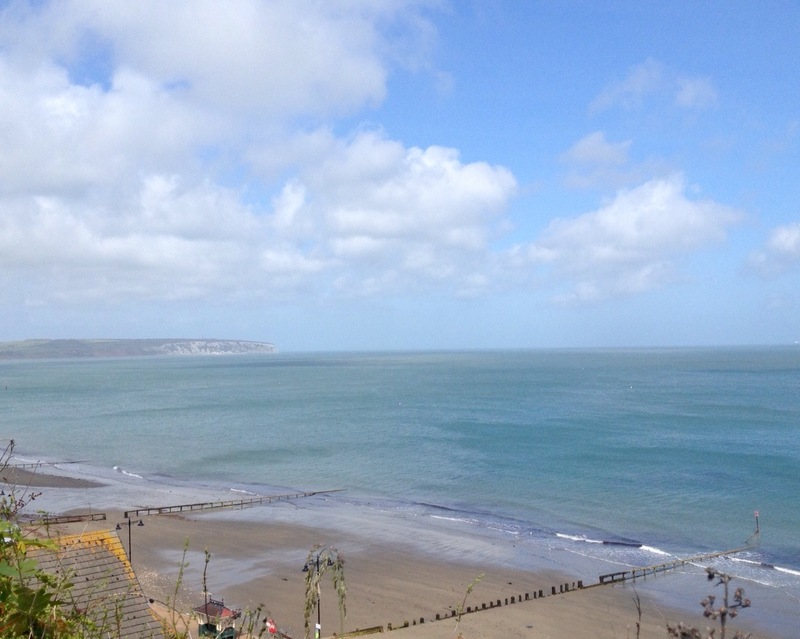 A short, antique train ride south will bring you to Shanklin, a picturesque seaside town with an old-fashioned charm. Thatched cottages make up the idyllic old town, filled with independent shops and cute cafes. Pencil Cottage and offers a wide range of Pinterest-worthy homeware, and I absolutely loved Mystosis’s gorgeous gifts and beautiful shabby-chic items. You won’t be short of places to grab an ice cream or some fudge to take home. 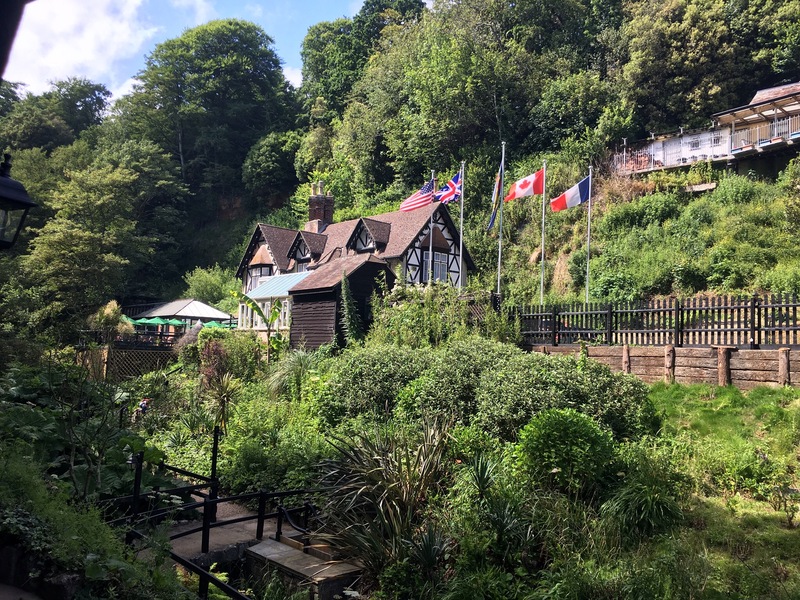 There is no shortage of places to grab tea and scones in Shanklin, and many of them provide outside space to relax in the sunshine. 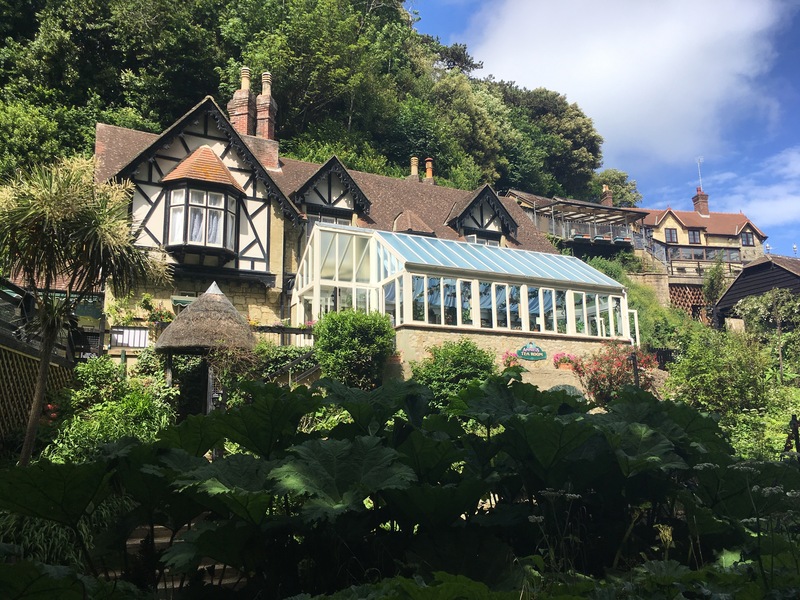 Pencil Cottage in the Old Town, Ryalstone gardens nearby (also great for a round of crazy golf), and Shanklin Chine all boast great tea rooms to relax with a cuppa and a scone. 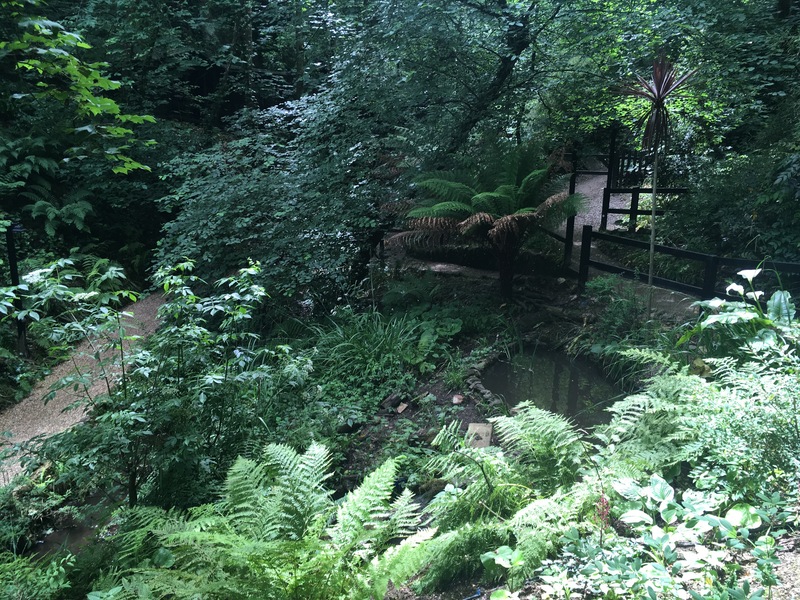 Shanklin Chine is a must-see and is the perfect way to walk off all those tea and scones. The tree-lined gorge was formed over thousands of years and now provides a stunning nature walk. As you wander around, stop to visit the rescue tropical birds, wonder at the tropical plants that thrive here, and marvel at its waterfall. If you visit in summer, go back at night to enjoy the gardens all lit up. 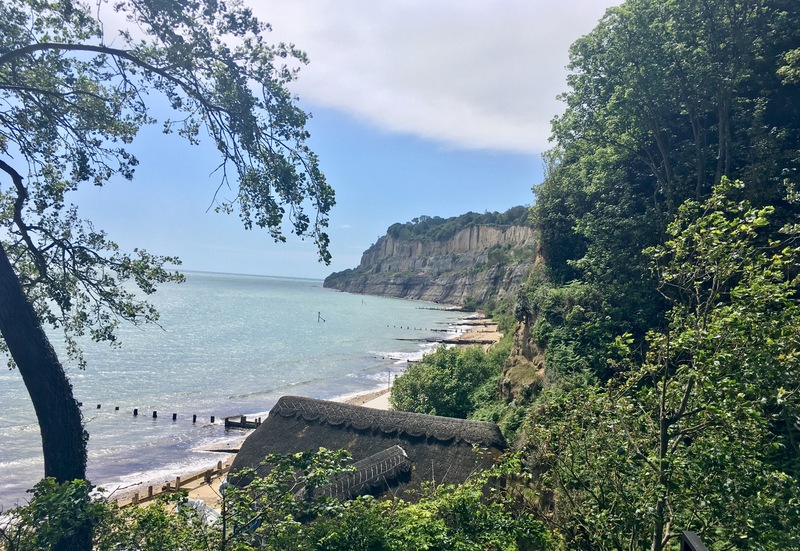 Shanklin has some lovely sandy beaches, making it the perfect place to spend a sunny afternoon. 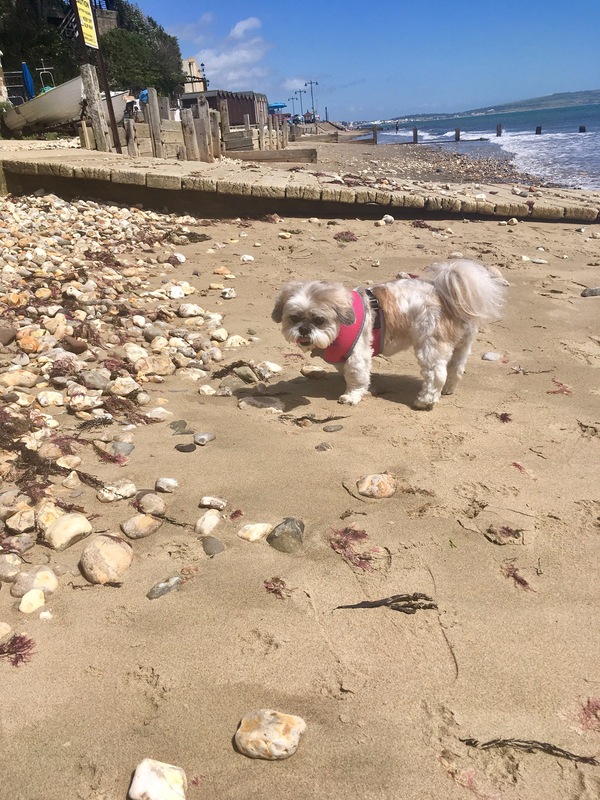 There’s also a dog-friendly beach just down from the main one if you’ve brought your favourite four-legged friend with you (Shanklin happens to be quite dog-friendly). 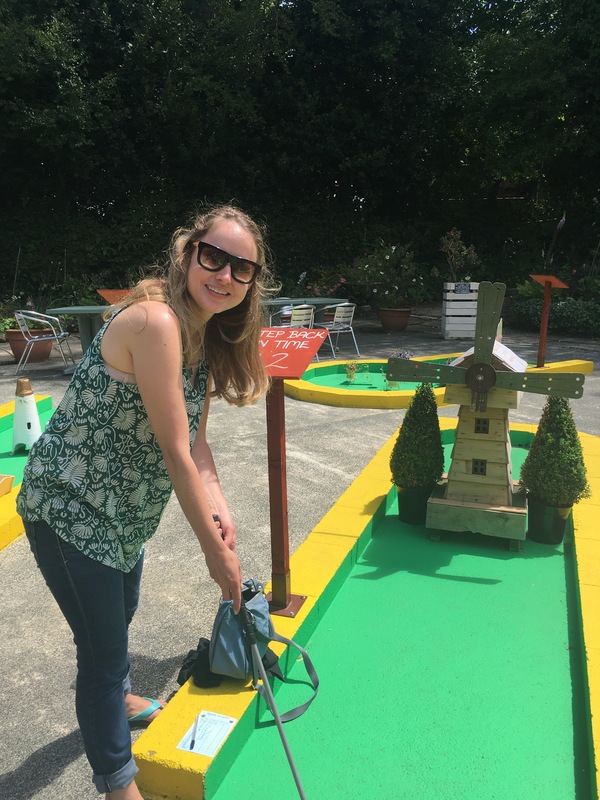 Get competitive with your friends with a round at one of the island’s crazy golf courses. Down by the seaside, kids will love the pirate-themed course, but my mom and I were in stitches of laughter at the more old-fashioned (and very fun) Rylestone Gardens course. A short bus ride from Shanklin is the charming village of Godshill. 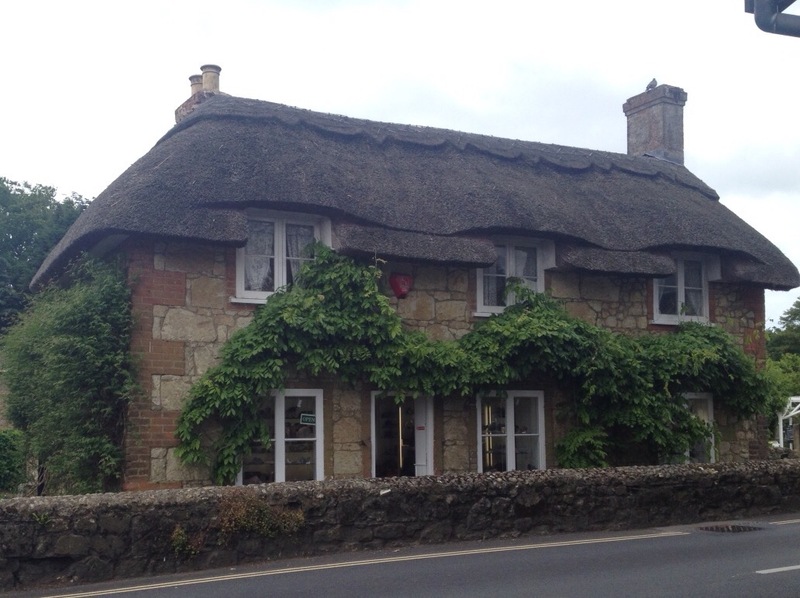 Much like the Old Town in Shanklin, Godshill boasts little thatched roofed cottages housing a variety of tea rooms and independent gift shops, including one selling local ciders and alcohol. Make sure to stop for tea at the Hollies and explore the Italian Gardens. Getting There: Portsmouth runs a regular foot passenger ferry to Ryde. 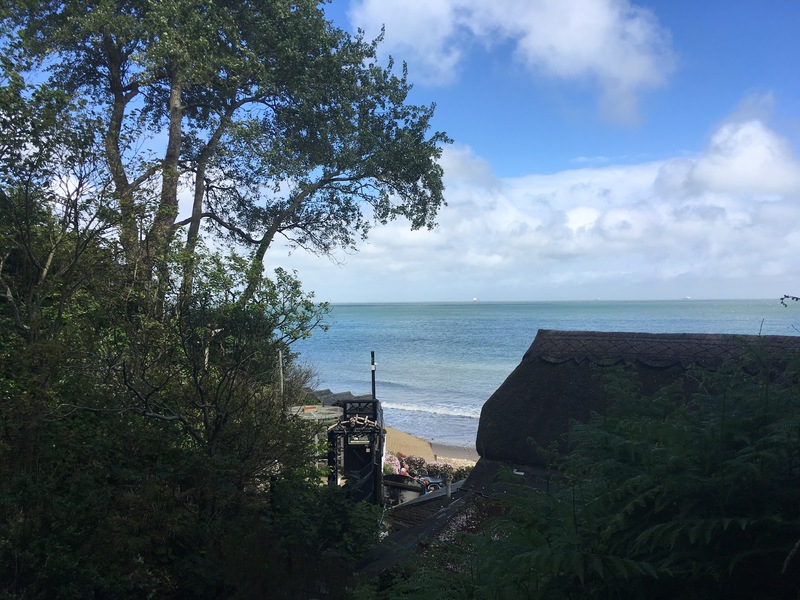 From there, catch the train from the ferry terminal to Shanklin. Car ferries also operate from nearby in Portsmouth. Where to Stay: There’s a wide choice of B&Bs and hotels in the village. We stayed at St. George’s House and loved it! The B&B was recently taken over by couple Mark and Pearly, and they are really running this place to a high standard. Clean, tastefully decorated rooms, lovely breakfast, friendly hosts, and we were even brought cake when we got back from dinner one night! The iconic pub the Crab Inn in the Old Town features a modern menu with great service. Or go casual with some fish and chips from the Happy Haddock. This is the first in the Great British Weekend series so check back for more!